Avail our free facility for forecasting fade margins to design your wireless links for most economical use of Antenna Feeder Cable, Antenna and height of Antenna Mast. Please feel free to consult our engineers for selection of right choice of antenna for your various application needs. 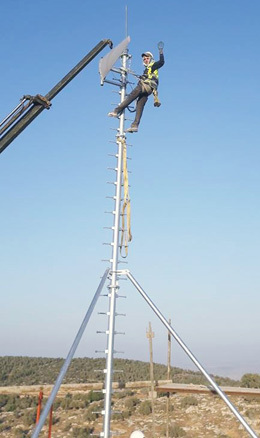 When faced with any problem during the installation of an antenna, or operation of an antenna and wireless link commissioning, avail of our expert technical help. Our engineers would be too pleased to extend all necessary technical support to make your wireless link work with highest efficiency.